The Aesop Chamomile Concentrate Anti-Blemish Mask comes in a 60ml jar and is used to help to keep breakouts to a minimum. 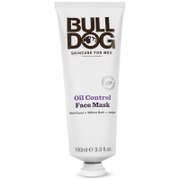 This mask works quickly to combat spots and blemishes and also helps to purify the skin. The clays and plant active ingredients of the chamomile concentrate mask can be put directly onto the skin where a breakout is happening and will help to bring out the inflammation of the skin and stop the resulting bacteria from spreading. 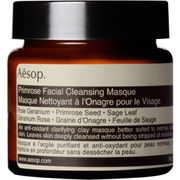 Included in the Aesop anti-blemish mask are soothing ingredients such as tea tree leaf, chamomile, rosemary, sage, lemon verbena and lemon peel. 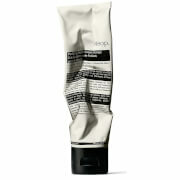 One of the best product in Aesop. I usually leave it on pimples overnight. It would help to reduce redness and effectively prevents further breakouts. Will definitely repurchase!!! use it twice or third times a week.It is like mud to eliminate the blemish. This product is fabulous in kicking off pimples. A serious big pimples popped up on my forehead these days and I put on this mask on the pimples overnight, then it eventually dried up and the size decrease by 50%. Will keep on purchasing this! Smells great, doesn't dry out the skin. Bit pricey for what you get but goes pretty far. it smells heavenly and does the job as a 15 min detox (less redness & clear up whiteheads). The most amazing thing is it doesn't dry out my skin like other clay masks do. I leave it as an overnight treatment and the next morning the pimples appear smaller. This mask to relieve my redness of the skin condition! Apply the moment I feel very fresh, with a pleasing odor, . The main thing is the local anti-inflammatory sterilization, to prevent the spread of acne, I only need to prevent acne now. Awesome product, have been using for bout 6 weeks and definitely skin feels less irritated and deeply cleansed. I leave it overnight as i think results are better than just few hours or so. highly recommend! 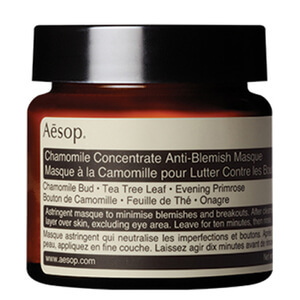 Aesop products are always perfect, and so is this Chamomile Concentrate Anti-Blemish Mask. I will keep purchasing them. I have used this product only once up to now, but I think I need to use it more times to see the result. No point using it as a ten minute mask nothing happens. Overnight however it has shown me amazing results in calming my sensitive and spot-prone skin. I wake up with skin looking smoother and clearer than at any other time. A small amount goes a long way. It feels like most clay masks in the tightening sensation and whitish appearance on your skin but the morning after is a refreshing surprise. Thrilled with my results. As an overnight treatment it works great. May seem a little strong when first doing but you get used to it and no breakouts since starting the product. Smells good as well. I love this mask. Its nice and thick and really leaves my skin clean after using it. I recently brought the Ren mask to see if its as good as everyone says but i much prefer this and will be going back to it. If it was wise to use a mask daily i wouldnt think twice to use it haha. spreads well when using alittle and you can notice differences after the first time you use it. This mask is slightly different to most clay based masks but does a fantastic job of freshening and evening out skin tone. Like Anthony's Clay Mask you can really feel this working but it also feels less harsh and like it's nourishing your skin more. Easily one of the most effective face masks I've used. Not really tried it for spot removal yet though. Works as an overnight treatment.. I found it not so effective as a 10 minute detox, but it works very well as an overnight treatment. Quick blemish removal. It is such a nice clay mask that u dont want to try any other brands. From day 1 u notice the difference. Simply put, a new skin!